A festival is all about emotion. And nothing compares a rollercoaster emotion more than a four-day festival. You know, the usual stuff: the emotional hangover, the empowering excitement you feel when you find your toothbrush at Day 3 and the anger rushing through your veins when you accidently sleep in someone’s else his tent and they kick you out. Suckers. Point is that your senses have lots of incentives to process. It’s like having ADHD’d combined with 13 cans of coke when you just heard your goldfish has died. It’s hard to place all those feelings. Overall: you will feel euphoric during this festival. Enlightened and empowered by the music, surprised by the taste of fresh beer in the morning and grateful for all the likeminded people around you. But there are times when there’s just so much that it becomes to hard to place those feelings. It’s an emotion-overload. So, to guide your emotions within our walls we will think for you.  Yep, you can let all loose, All We Want Festival got you. We categorize all our entertainment, music and food in the five senses: hear, feel, smell, see and taste. So when you’re at an activity and get a mental breakdown or feel in ecstasy but don’t know what for, simply look at the sign at your activity. If it says: ‘feel’ you’re probably enjoying the massage (without happy ending), if it says ‘taste’ you’re probably tasting the atmosphere of the DJ behind the decks. We know the struggle at Day 3, but we’re here to help you. No more confused and mixed up emotions. All We Want Festival strokes your senses like rain on warm asphalt, like a flower blossoming from the Garden of Eden and like the first morning dump in a Dixie. We’re here to create an atmosphere where anyone would duplicate and where sensory experiences are indulged in a warm bath. We guide you through this festival, no need to stress. So remember, it’s all about hearing, feeling, tasting, smelling and seeing. And if you still wonder which one of those to follow, just know this: never follow your nose at a festival. Please, just don’t.